Stephanie was born into the performing arts. With every chance she had with not only acting, but helping out in rehearsals, backstage or front of house, she would give 100% into her work. Completing high school through the SEDA Performing Arts Program, She also discovered her love for screen acting. She experienced life on set through a few extra roles on shows such as ‘Neighbours’ and ‘Underbelly’, which then inspired her to pressure bigger roles. In her gap year (2017) she starred in many short films including ones for VCA, independent projects and numerous music videos. 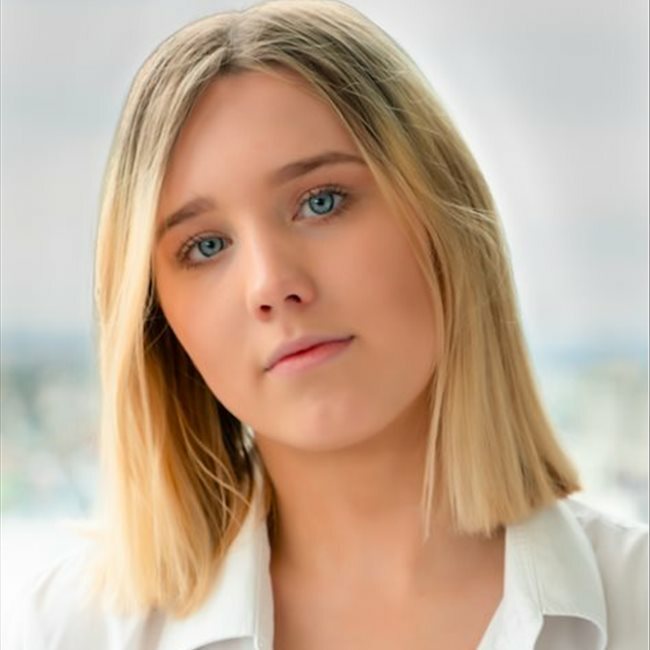 Now being 2018, Stephanie has received her Diploma from the New York Film Academy up on the Gold Coast Campus and now being back in Melbourne, has started receiving paid roles. Stephanie hopes to keen progressing in the industry throughout the upcoming years, networking and learning new skills. Recently, Steff has taken part in countless TFP/ paid shoots taking place in as far as Geelong. From body painting, holding doves and bald cap applications. Steff modelled for the Australian Hair Expo in 2016 which went over 3 days. Steff also completed paid modelling photoshoot with the toy company 'Moose' in 2012 at the age of 14. An extra on 'Neighbours' in February 2016. 7 years of Calisthenics competitions and performances.